Brings together pro web services - but where will data be stored? Microsoft has announced the launch of its pro web services – all brought together under the snazzy title of Office 365. The headline feature of the suite enables collaborative working on Office docs in the cloud, but in reality that's just the tip of the iceberg. Microsoft SharePoint Online and Microsoft Exchange Online enable online document and email, while the suite also includes Microsoft Lync, the voice, IM and presence suite that's the successor to Office Communication Server. It may also incorporate Skype services in the future. But at the launch presentation attended by TechRadar, Microsoft faced questions over where users data would flow. To comply with EU regulations, Microsoft's data centres are located in Amsterdam and Dublin. However, Microsoft UK's Gordon Frazer could not guarantee that data would not leave the EU "because we are a US company and we need to comply with US regulations." The launch was positive otherwise, with Microsoft trotting out various examples of users already well acquainted with the suite. Office 365 is now available in 40 countries and works via a monthly user subscription – from £4 per month per user in the UK. The idea is that it can grow as companies do. However, there are different versions that could be potentially confusing, some including standard Office 2010 and some not. "Like signing up for electricity"
"Office is the pilar of productivity," said Gurdeep Sing Pall, head of Microsoft's voice and Lync group. "500 million people use Office every day. In the last decade, we started looking at how we could make people more productive. "But there was a problem – these back end servers were only available to large enterprises. It's great, but what's happening is that these enterprise-grade capabilities are now available for small businesses. It's really like turning on or signing up for electricity and water. From signing up you pay for the users. You hire more people, it scales with you." 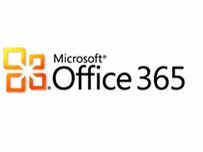 With Office 365, people can stay can collaborate with instant messaging, virtual meetings and work on files and documents at the same time. Over 200,000 organisations have beta tested the suite and big names already signed up to bring Office 365 to customers include Vodafone and Telefonica. "Great collaboration is critical to business growth, and because it's so important, we believe the best collaboration technology should be available to everyone," added Microsoft CEO Steve Ballmer in a statement. "With a few clicks, Office 365 levels the playing field, giving small and midsize businesses powerful collaboration tools that have given big businesses an edge for years."